Hopefully you have all read part one of my tour through the Carmel Valley in California. This second part took place after lunch at a place called Will's Fargo in Carmel Valley Village - we visited another four tasting rooms but this time we had to do a little driving, as the places we wanted to visit were not all within walking distant. Our next stop along the way was Bernardus, a winery that began as a result of the owners' love for red wines of the Bordeaux region. The family fortune comes from the owner’s father who became the exclusive importer for German cars (VW, Audi and Porsche) after World War II. The vineyard area consists of about 300 acres spread over six estates, of which only 58 are planted. Sadly, Bernardus is not available in Ontario. Our wine jockey was a virtual lexicon about all things Bernardus (and Monterey County), he took us through a tasting of a dozen or so wines with a real enthusiasm for each and every one and he was not afraid to point out his favourites along the way and tell us why. I found his enthusiasm to be infectious and wrote down much about what he had to say about the history of not only the winery, but of Monterey County as well. Best White: 2009 Sierra Mar Chardonnay ($40.00) a wine made from grapes in only their third leaf, aged 10 months in a 50/50 blend of new and used French oak. For a wine made with such young grapes the taste showed some real finesse and delicacy and was not at all overpowered by the wood in any way. Instead, there was a real suppleness on the palate and lovely fruit; the piece-de-resistance was the Wurther’s candy finish that just kept going and going and going (**** ½). 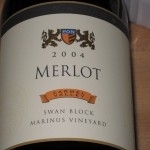 Best Red: this was the single block, single vineyard 2004 Swan Block Merlot ($125.00), this is a real unique wine for this winery as they do not expect to ever be making this wine again, but the fruit was just so good that year that the winemaker insisted. Aged 20 months in a 50/50 blend of oaks (new and used) and then rested 2 years in bottle before release. Very smooth with blackberry, blueberry, cassis and milk chocolate, still has some nice tannins on the finish (**** ½). Only 350 cases produced. Afterwards, we left Carmel Valley Village and made the drive to Morgan’s tasting room located in an open-air mall just outside of Carmel (The Crossroads Shopping Village). 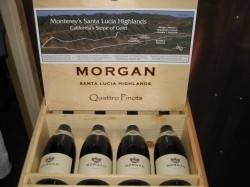 Another winery established in 1982, Morgan also specializes in Pinot Noir and Chardonnay but also demonstrates a love for Rhone-style reds. The mall tasting room does not have all the wines produced by Morgan but they have a great cross-section of produced product. We were led through a 7 wine tasting starting with the refreshing Sauvignon Blanc and ending with the Rhone Valley inspired Syrah. Best wine: 2009 Cotes du Crow’s ($18.00) a 50/50 Rhone-like blend of Syrah and Grenache; lovely raspberry fruit dominated this one from start to finish, soft and easy to drink this one also had silky tannins that made it a pleasant sipper for any time of day (****+). At this point, it was time to head back to Carmel-by-the-Sea and find out if those tasting rooms were finally open. We started at Galante, and for the second time found the door locked (this time for a "bank run"), so we instead we made our way two blocks over and a block up to Wrath. This location was also situated in an open air mall-type setting, but instead of being a strip mall this was more like a open-pit-mall - with four levels. 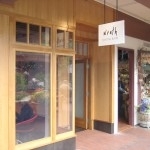 Right beside Wrath we found a place called the Cheese Shop (more on this in a bit). Wrath’s original name was San Saba Vineyards, but the son took it over and was looking to re-brand the winery and came up with the rather interesting and memorable name of Wrath. They are mainly a Pinot and Chardonnay house with a smattering of Syrah. I asked our server to pick the best of the three kinds of wine they made, the Chardonnay and Pinot Noir were delightful: the Syrah was a bit too aggressive, perhaps why the place is called Wrath. Chardonnay: 2008 San Saba Chardonnay ($49.00) aged in 70% new French, this is the estate vineyard which still keeps the original name; lovely mouthfeel with nice spice on the back palate – tropical fruit, vanilla bean, hazelnut, caramel and lots of sweet buttery notes (****+). Pinot Noir: 2009 McIntyre Vineyard Pinot Noir ($49.00), a whopping 14.7% alcohol here but it does not show on the nose or palate. The nose is blueberry, cherry and cocoa laced with spice and dark fruit on the palate, robust tannin structure and a great long finish seals the deal after every sip (****+). We left Wrath and wandered into the cheese shop for a few moments to take in the ambiance and try some cheese. The store was equally divided for space - each product getting their do. It was a wine / cheese lovers paradise. From there we made the 2 block-1block trek back to Galante for the third time, and this time the door was open. Here we came in contact with a jovial jockey who already had bottles lined up 3-deep at the tasting bar. He ran us through the Galante history: Frank Devendorf, the great great grandfather of the current owners, was the founder of Carmel-by-the-Sea in 1903, their 700 acres was a cattle ranch (and still is to this day) but it's not just for horses, they also grow grapes on 33 of those acres (Cab Sauv, Merlot, Malbec, Petit Verdot, Petite Sirah, Sauvignon Blanc and Pinot Noir). We tasted 6 wines: 2 Pinots, 2 Cabs, a Sauvignon Blanc and the Petite Sirah. Best Wine: 2010 Estate Sauvignon Blanc ($25.00), which sees a little wood action (10% of the wine goes into new French oak for two months). This was probably the best Sauvignon Blanc I tried the whole time in California. The nose had just a slight whiff of vanilla amongst the grassy lemonade aromas and the palate kept some nice bite from the retained acidity along with melon, lemon, vanilla and grapefruit (****). Most Interesting Wine: I must also mention the 2008 “Cowpoke” Pinot Noir ($12.00), the grapes for this wine are grown some 1800 feet above sea level and 2008 is known as the year of the Basin fires, the smoke cloud passed over the vineyard during veraison (where the grapes start to change colour), the grapes and subsequent wine took on that really smoky character to a point that is really all you can taste and smell in this wine. This unique wine defies a score. I have to say I was very impressed with the majority of wineries I visited and brought home with me a number of ways California celebrates their wine roots. 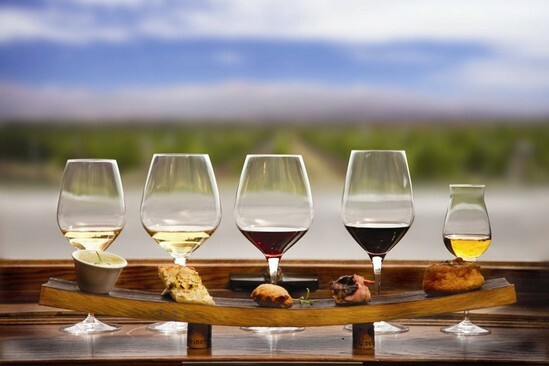 I will continue my California series over the next couple of weeks with a trip to the Taste of Monterey wine shop and with a wrap up article about how we could make Ontario a whole lot more wine-aware and friendly for both restaurants and consumers. 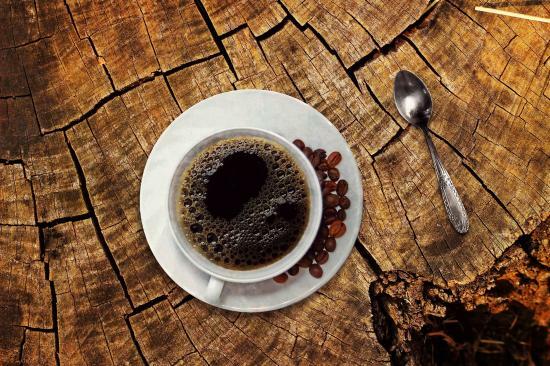 To help you understand how to prepare some cozy coffee drinks, here are the best that you could try. 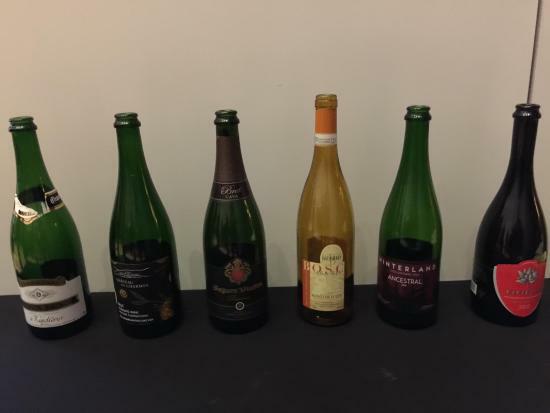 The Canadian Museum of Nature opened its doors to wine enthusiasts all over the region to learn and taste the champagne and interesting Canadian sparkling wines.